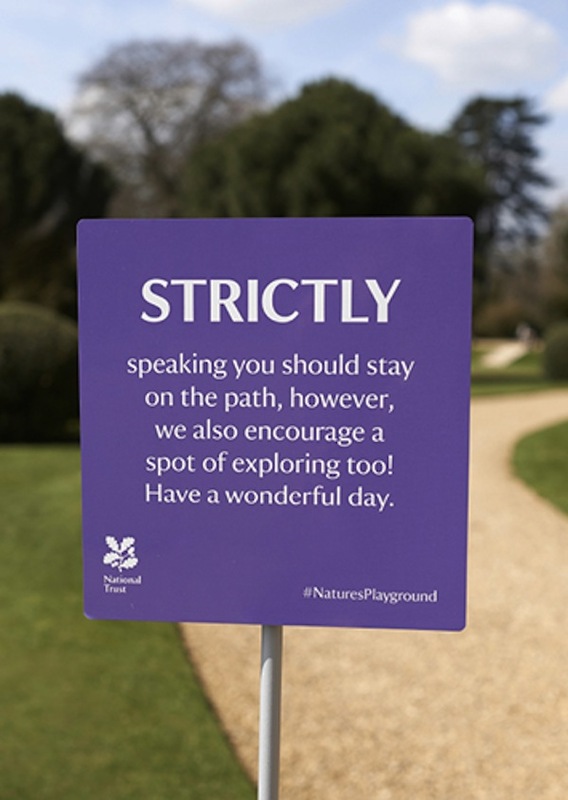 Instructional signage and English country houses don’t always have to be restrictive and formal. 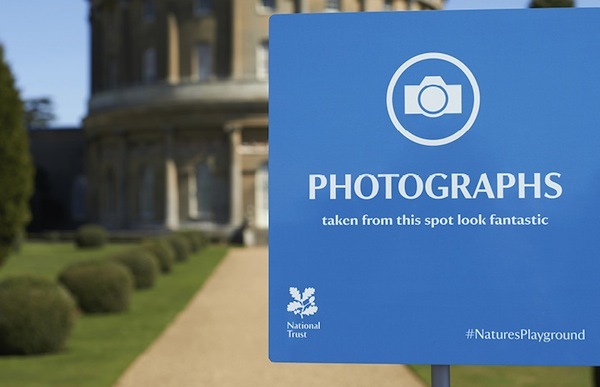 To reinvent its reputation, and encourage visitors to enjoy its country houses across east England—national conservation charity National Trust approached UK-based consultancy The Click Design to create physical tongue-in-cheek signage. 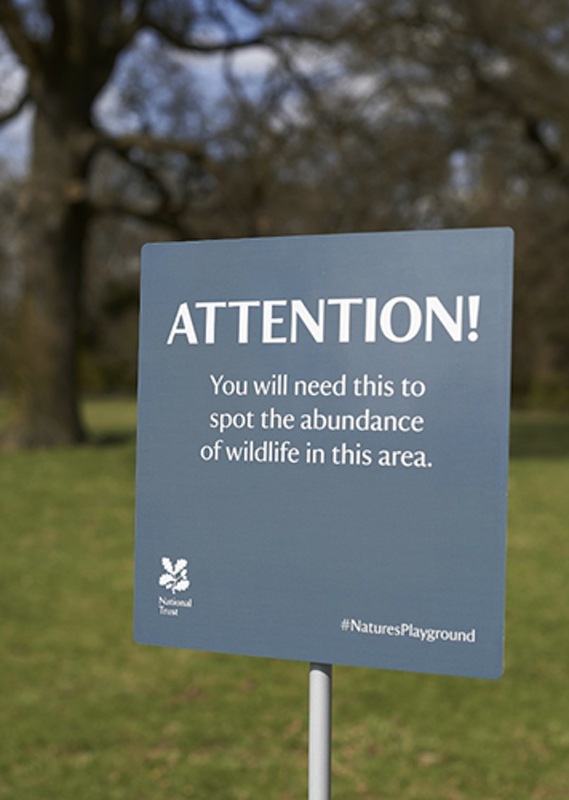 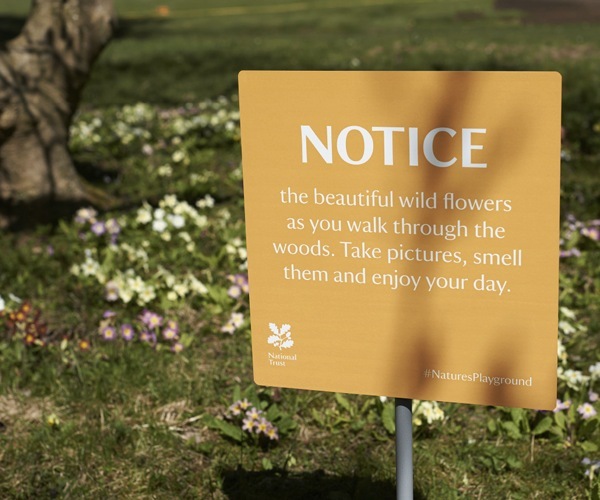 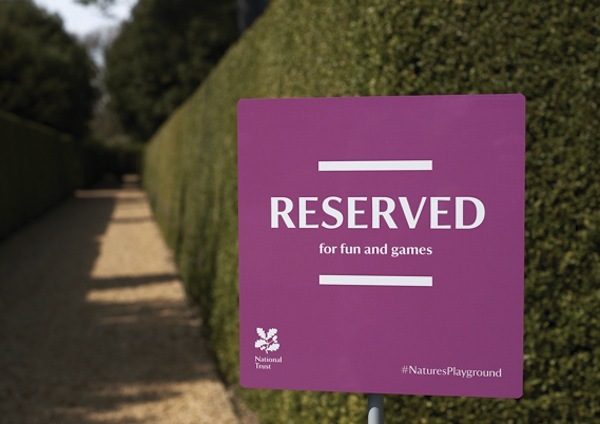 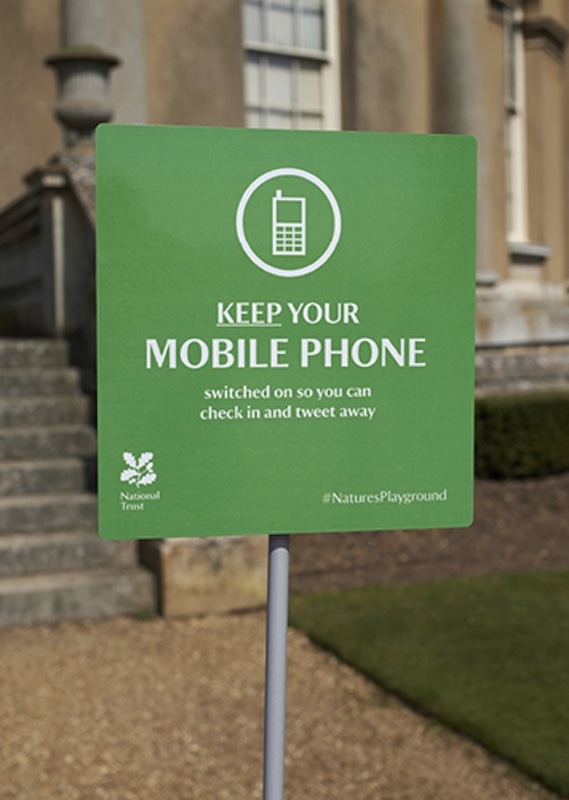 In the ‘Nature’s Playground’ campaign, nine signs were put up on the grounds of National Trust’s properties. 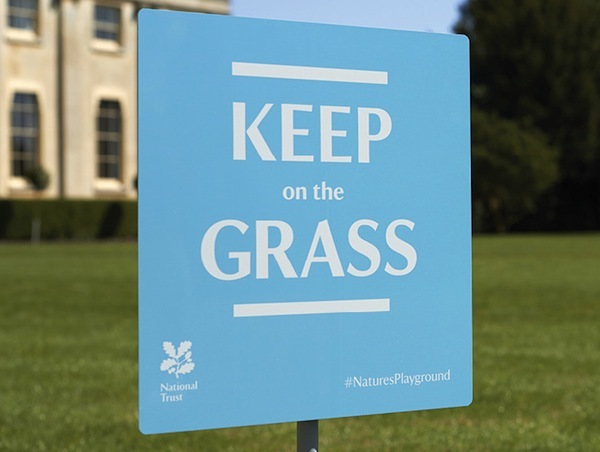 At first glance, these brightly-colored signs look like warning signs—such as the typical “keep off the grass” warning signs—but when looked at again, they bore light-hearted encouragements to do the exact opposite. 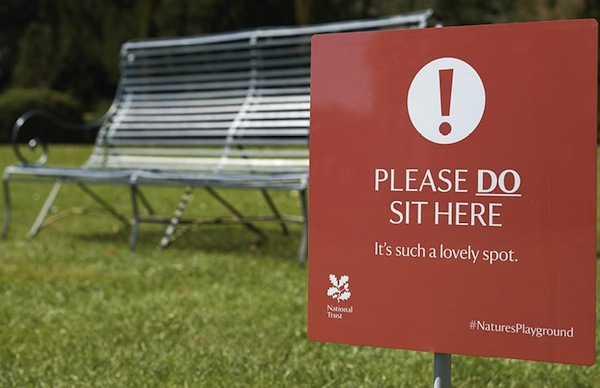 The signs featured ‘instructions’—such as “Keep on the grass”, “Please do sit here. 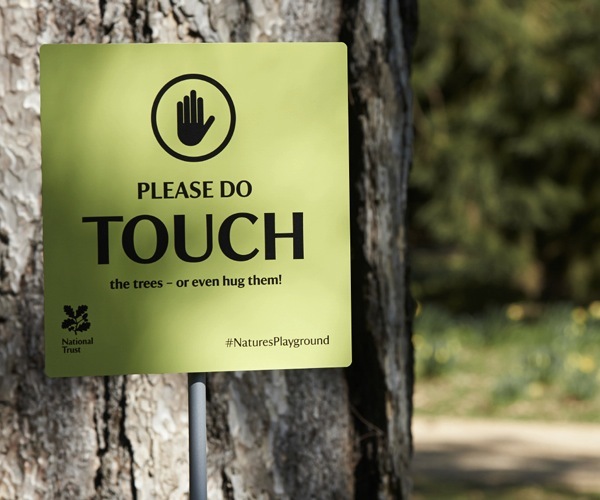 It’s such a lovely spot.” and “Please do touch the trees—or even hug them!”—to welcome tree-hugging, photo-taking and flower-smelling among its visitors, so that they enjoy the grounds differently and see how much the country houses have changed over the years.